Good communication begins with listening. However, listening is not always as easy as it seems. Some might think that it should be easy because we are not talking, but there are a lot of things that go into attentive listening. Many don’t examine their listening habits, and the result of that can be broken relationships and conflicts. In this blog series, I set out to offer tools to help people wanting to work on their communication skills. I believe listening is at the core of good communication, and the most important ability of a communicator. This is the last post in the series and it is a little long. Get yourself a cup of coffee and find a good place to sit for reading this article. I don’t ever want to post quickly written and thoughtless articles. I always spend loads of time researching when writing my posts. Since Communications is my profession, I have made it my mission to put the principles of attentive listening into practice as much as I can. Though I love communication and know a lot about it, I still make mistakes. Especially when it comes to listening! That is why these blog posts mean a lot to me, and I hope they are helpful to you too. 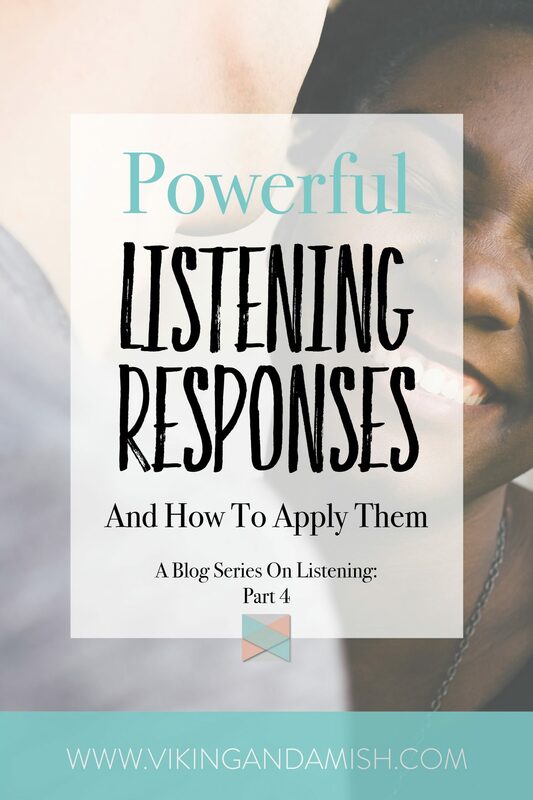 A listening response is simply the way we respond to the communication we receive. As you can imagine, there are many ways to respond. Some listening responses are more appropriate than others in a given situation. 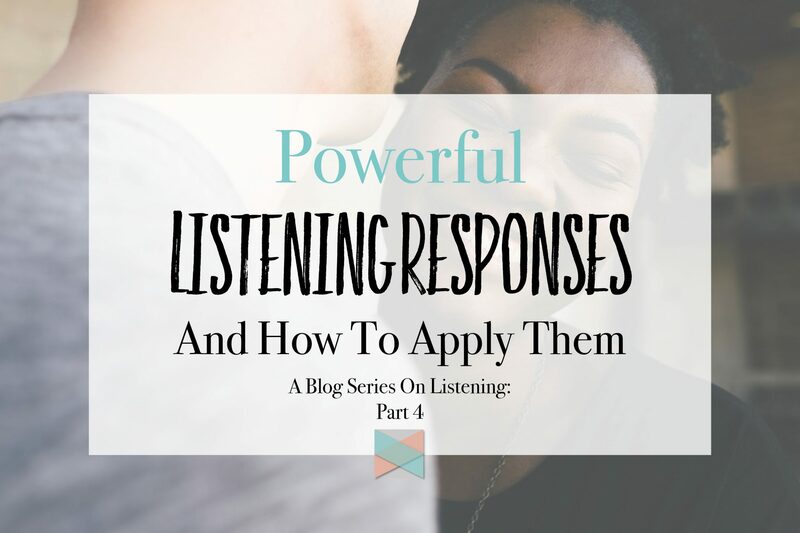 I will go through the typical listening responses that are used in conversation. The responses are listed below and described in detail underneath. Prompting is a signal we send to encourage the speaker to continue talking and that we are listening. It can vary from the short “aha,” “okay,” or “I see.” Prompting doesn’t stop the conversation, but it shows that we are listening. Sometimes prompting can also just be silence, but attentive eye contact and a nodding head. Prompting is a strategy journalists use all the time to get their gold nuggets. If you are silent long enough the other person will eventually start speaking. Prompting is a great listening response when the person talking is on a topic that might be difficult to talk about. It allows them to find their own words, and it is not disruptive. Questioning is aimed at understanding the speaker. It can be used in many ways, which is why we want to train using questioning sincerely. A good listener attempts to ask questions to get perspective. However, questions can also be used in a counterfeit way. Some people use questions to make a statement instead of trying to gain understanding. This means questions can be used to state doubt or mistrust in the person speaking. We want to avoid asking questions motivated by an agenda. Good questions typically begin with WH letters. “Who did that?”, “When did that happen?”, “Where are you going to do that?”. These sort of question are open-ended because they are seeking more details. A good communicator will try to avoid questions that can be answered with a simple “yes” or a “no” because these questions are conversation stoppers. When using questioning you want to avoid turning it into stage-hogging too. Read more about stage-hogging in this post. Paraphrasing is restating what you think the main message is, in your own words. This is used to cross-check information before drawing a conclusion. Paraphrasing is different from parroting because parroting just repeats what the person says word for word. When using paraphrasing you are allowing the speaker to correct you when restating what you hear so that you can clarify questions or statements. You want to be careful when using paraphrasing as a conclusion. Instead, use paraphrasing to ASK if there is a conclusion to be drawn from what you have heard. “So what I’m hearing you say is […].” or “Correct me if this is wrong, but according to you […].” You gain the other person’s trust by being open to correction and by showing you are paying attention to their key message. Analyzing means offering an interpretation of the speaker’s message. This goes a step beyond paraphrasing because you will use background knowledge of the person and context to influence your analysis. This can be a powerful listening response when people confide in you or are coming to you for advice. “From what I know about you, this means…”. As you can probably imagine this is not a listening response to attempt if the person is not looking for your input or if you don’t know the person very well. Another thing to remember is that an analysis is tentative. Since your analysis is based on your perspective, your opinions are not necessarily facts. This means you are only helpful if you are willing to let your interpretation be corrected in case you have gotten something wrong. Don’t keep your opinion of the situation in such high regard that it can’t be changed or adjusted by additional information. 1. Is the advice needed? Sometimes it is, other times the person has already made up their mind. If the person has already chosen what to do or if there is nothing that can be done about a situation, then it might be more hurtful than helpful to add your two cents. 2. Is the advice wanted? The general rule of thumb: Most people don’t like unsolicited advice, and often you’ll come a long way by asking if the person is in a place where they want your advice. Sometimes advice is just salt in the wound. 3. Is the advice given in the correct order? Before offering advice make sure to offer paraphrasing, support, and questioning. Never give advise as of the first listening response. Advising without attempting the other listening responses isn’t received as listening. It comes off as better knowing and authoritative. 4. Is the advice coming from an expert? 5. Are you a close and trusted friend? Consider your relationship with the person before giving advice. This means taking your role into consideration too. Since I often teach listening skills to camp staff, I encourage them to take their age, gender, level of friendship, levels of authority, and such into consideration. Your role could also be parent/sibling/child relationships, client relationships, co-workers, etc. In many cases, it can be harder for people to take advice someone that doesn’t have “authority” on the subject, so before giving your boss advice on how to raise their child, think about your relationship with the person first. 6. Does the speaker feel that you are on their side? When we offer advice, try not to be a know-it-all. Be correctable or flexible in your opinion, to show that you are not taking hard stands on things you are trying to help someone else with. Show that you have their best interest in mind and always seek a response to your advice to check that you have been helpful. This is a big one because we have to use support more carefully. Many would think that this is the easiest one but behold, this one can be tricky. Support can actually be very inconsiderate. There are five types of supporting that I know of. Supporting IS a great listening response to conversations that are emotional. Regardless, supporting should not be confused with agreeing. You can support a person’s emotional need even if you don’t agree with their conclusion. You never want to rob the person of their right to feel the way they feel, by trying to correct it. I know that sometimes we just want to be encouraging, but saying: “you shouldn’t feel that way,” can be very hurtful. Allow the person their feelings. Also, don’t belittle how they feel or tell them that their feelings are ordinary/normal. Allow them the space to feel what they feel without having to correct it. This goes along with acknowledging how the person feels. Instead of assuming certain emotions in a situation, ask them how they feel. Even if you have been through something similar it is appropriate to not make assumptions about emotions. Instead, ask questions about how the person feels or how they think. 1. The person should always have asked for your feedback. If they are not actively looking for ways to become better, judging can be harsh and insensitive. I understand that in some professional situations it is necessary, but in those cases, the communicator is not looking to better their listening skills, but rather get a point across. No, a good listener gets the “okay” for feedback before judging. 2. The feedback should be designed to be constructive and not a put-down. You want to leave the person with tools, encouragement, or something to work on. Give examples of what could be better so that it is helpful. As you can see there are many options available to us when wanting to choose a listening response. The one that is the most appropriate is also the one where you are the most genuine and engaged in the conversation. I know this was a long post, and I commend you for making it through. As this was the last post in the blog series on listening I hope you will share your thoughts on what you might have learned, or what you think of the posts. 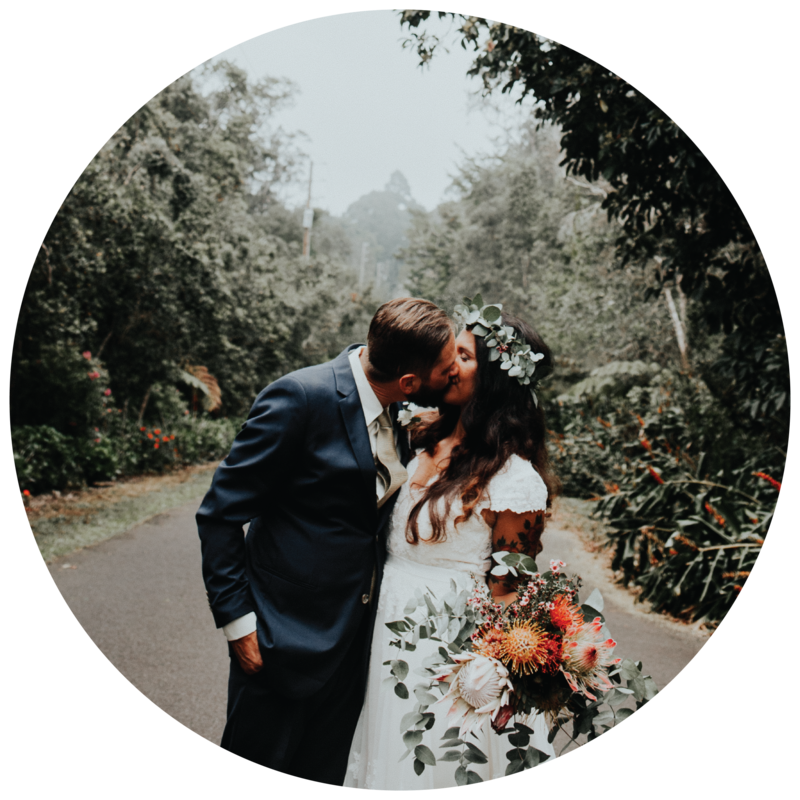 I have another blog series on conflict resolution that you might be interested in taking a stab at too. May God bless you and your loved ones as you grow in your communication skills and practice attentive listening.